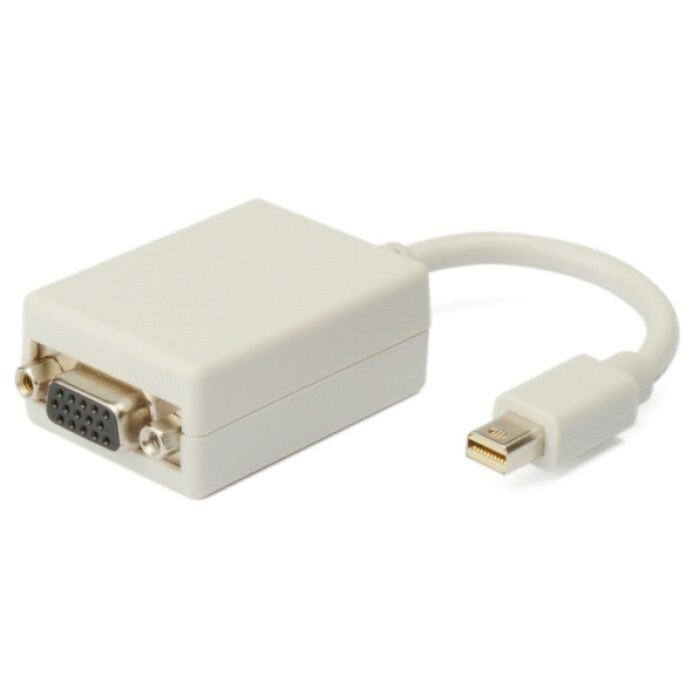 The Mini DisplayPort to VGA Adapter seamlessly connect next generation DisplayPort based MacBook,Â MacBook Pro, or MacBook Air with a Mini DisplayPort to conventional VGA displays, such as CRT, LCDÂ monitors and projectors. Mini DisplayPort offers a unified, scalable, and cost effective interface forÂ embedded and external display applications. It not only has an elegant appearance with the white colorÂ but also brings much convenience with its small size. It offers solutions for digital entertainment center,Â projector factory, noisy space and security concerns, conference room presentation, school and corporate training environments.